But there is a problem with Oranum. Because the site uses Adobe Flash to power the chat rooms, you aren’t able to use the site on your Apple iOS devices, such as your iPhone or iPad. Flash famously doesn’t run on these devices due to battery and security concerns. It can be a real pain but there are ways around it. You might just want to use Oranum with your iPhone. With a small legal and free hack you can get the website working correctly on your iPhone as well as any other flash based web page. It will be exactly like the experience on your main computer. Firstly you’ll want to sign up as a registered member of Oranum. This will help smooth things and ensure that the process is as uncomplicated as possible. While you can browse the website as a free member, you’ll find that registering (for free) will give you a wide range of benefits and provide you with a superior experience. You’ll also stop the psychics bugging you to sign up when you jump into a chat room as a guest. Once you’ve signed up as a member you will need to head over to the App Store on your iPhone or iPad. 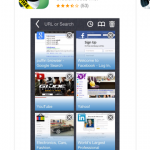 When you’re there, search for the app “Puffin Browser”. There are two types of the browser, a free version and a paid version. You don’t need to pay for anything at the moment so just download the free one as it will be fine for our purposes. The Puffin browser is a web browser you can use to access websites that require Adobe Flash. Don’t ask us how it works but you can use the browser to access websites that you would otherwise be unable to with Safari. You will need to use the app exclusively for accessing Oranum on your iPhone or iPad but you can also use it for other Flash based sites that don’t run correctly. When the app has finished installing you can simply open it up and direct it to the Oranum website. When you’re there you can sign in as a registered user and you will be good to go. Most of the time the Puffin browser will work perfectly and there will be no hint that you’re not on a desktop or laptop. You can access all the free chat rooms, talk in the free chat, access the “walls” of the various psychics and generally participate as you would normally do so in the chat rooms. It can be a little tricky typing into the browser, although use your iPhone in portrait orientation to help with this. The free version of the Puffin browser will work for two weeks, although after that you will need to pay to upgrade. It’s only a few dollars though so if you want to use Oranum on your iPhone a lot of the time it might be worth the tiny investment. Having the ability to use Oranum on your iPhone is a real benefit. It might not be convenient to use a computer at that particular moment. Maybe you don’t even have a desktop or laptop and use your phone for everything. Actually having it on your phone is a real benefit. Every half an hour (on the hour and half past) Oranum runs a demo reading which are worth attending. These can be hard to schedule in if you don’t have access to your computer all the time. Simply set a timer on your phone to alert you when a reading is coming up and fire up the Puffin browser to check it out. Even if you aren’t picked for demo you can still learn a lot. It can also be more comfortable to use an iOS device, especially if your computer is tucked away in a dark corner of your house. When you get a reading (and we stress this a lot) you need to be relaxed and calm. The more relaxed you are, the more effective the reading will be. After all the psychic will need to access your energy in order to interpret your question in the best possible way. Sometimes creating that sense of peace and harmony is hard to achieve if your computer isn’t in the best place. We recommend lighting a few candles, taking the time to meditate and pause for a few minutes before entering the chat rooms or getting a private reading. Both yourself and your psychic will thank you later. This is even more important if you’re getting an energy reading or healing. It also makes things a little more special. 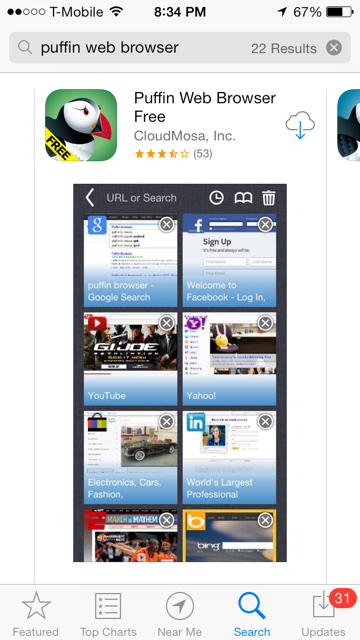 So in short, you can use Oranum with your iPhone ,iPad and even Android supports the Puffin browser. Any Apple iOS device doesn’t run Flash websites by default, but a little app you can download for free will make all the difference. Sign up for Oranum before you do anything else. This will get you in the system and means that you can access the website as a fully registered user. No nags, no prompts and no need to go around the site as “guest402”. When you’ve signed up, visit the Apple App Store and download the Puffin browser. You can keep using Safari for the rest of your mobile browsing, but for looking at Oranum (or indeed any other website that requires Adobe Flash) you’ll need to use the Puffin browser. Things should work exactly the same and your experience will be as good as it is on a desktop machine. After you get it all working you can talk to all the free psychics you want and fully participate in the Oranum community. Download the Oranum App here on your Iphone Today!